Of Interest: Sometimes, it's really good to get a change in perspective. 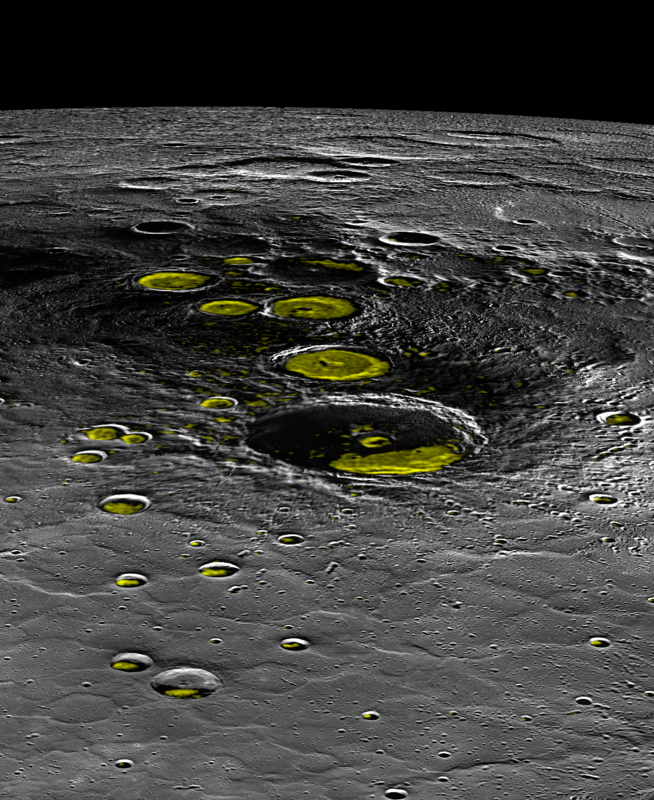 Today's image provides that for Mercury's north polar region. The largest crater in the center of the image is Prokofiev, a crater with evidence for ice on its permanently shadowed floor. The yellow regions in many of the craters mark locations that show evidence for water ice, as detected by Earth-based radar observations from Arecibo Observatory in Puerto Rico. The MESSENGER spacecraft is the first ever to orbit the planet Mercury, and the spacecraft's seven scientific instruments and radio science investigation are unraveling the history and evolution of the Solar System's innermost planet. In the mission's more than three years of orbital operations, MESSENGER has acquired over 250,000 images and extensive other data sets. 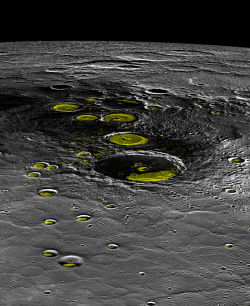 MESSENGER is capable of continuing orbital operations until early 2015.